Known for his quick mind and knowledge of the law, Judge Chernow is among California’s most outstanding retired judges. He has successfully resolved thousands of cases across the entire spectrum of litigation. Serving as a successful arbitrator, mediator, settlement judge and referee since his retirement from the bench in 1993, Judge Chernow has an ability to create rapport with litigants in a relaxed and supportive environment conducive to settlement. Employment law including, without Business/Commercial, Breach of Contract, Real Estate, Partnership Dissolution, Corporate Governance, Intellectual Property, Legal Malpractice, Trade Secrets, Unfair Trade Practices, Employment, Insurance and Insurance Coverage, Bad Faith, Family Law, Probate. Judge Chernow has nearly three decades of conflict resolution experience. 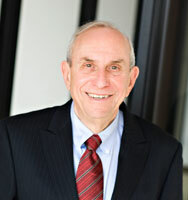 He was appointed to the Los Angeles Superior Court in 1977 and served until 1993. His assignments included criminal, civil, law and discovery, family and fast track courts. He served on the Executive Committee of the Litigation and Family Law sections of the Los Angeles County Bar Association and as a longtime board member of the Association of Business Trial Lawyers. Before he was appointed to the bench, he was a partner in the law firm of Tuttle and Taylor. Judge Chernow lectures frequently for bar associations and other organizations and is a co-author of The Rutter Group’s California Practice Guide: Civil Trial & Evidence. He is the author of numerous published articles on such topics as sanctions and expert witnesses, and is a former associate professor of law at USC Law Center, where he taught courses on evidence, corporations and environmental law. Judge Chernow is available throughout California.